Unique heart necklace. 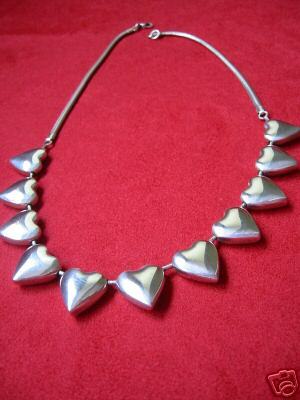 Necklace is 17" long; hearts are a bit over 1/2" tall and wide, made of weighty silver by designer Bayanihan. "Bayanihan Ltd. has been a leader in the design and manufacturing of fine sterling silver jewelry for more than twenty years. 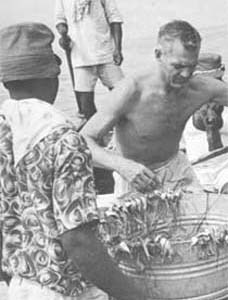 It was founded in 1974 by W. Thomas Burns as an outgrowth of his Peace Corps experience in the Philippines. "Bayanihan" means working together. For 25 years Thomas Burns has worked with his Philippine friends to produce beautifully finished jewelry designs in sterling and 18kt gold & sterling." Good luck bidding! Contact me with questions and please see my other items for sale this week.